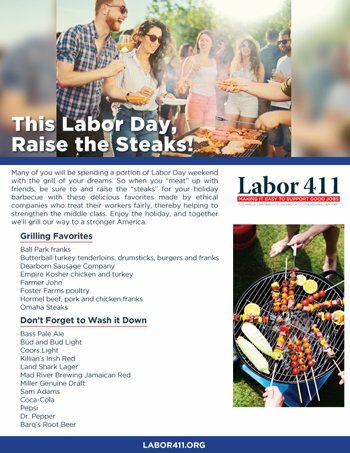 This Labor Day, Raise the Steaks! Many of you will be spending a portion of Labor Day weekend with the grill of your dreams. So when you “meat” up with friends, be sure to and raise the “steaks” for your holiday barbecue with these delicious favorites made by ethical companies who treat their workers fairly, thereby helping to strengthen the middle class. Enjoy the holiday, and together we’ll grill our way to a stronger America.